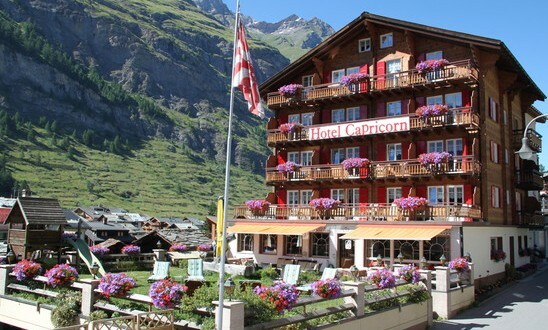 In a quiet location, Hotel Capricorn in the car-free village of Zermatt. Inspire is the hotel with its magnificent views of the Matterhorn. It offers also a spa area with a sauna. Free Wi-Fi in your room. We will pamper you with a traditional breakfast buffet in the morning and in the evening with a delicious 4-course meal. The three ski hiking destinations of Zermatt, and the center can be reached within 10 minutes on foot.